The Terms are applicable even if you do not have an online membership with InCinemas.sg, and your use of the Site’s services means that you consent to these Terms. CNS reserves the right, at its sole discretion, to change, modify, add, or remove any of the Terms at any time without prior notice, including publishing changes on or via the Terms, and you agree that your continued use of the Terms after such update or modification will constitute your acceptance of an agreement to be bound by the updated or modified Terms. If any of the Terms are changed, CNS will upload a notice on the Site's homepage to inform you that changes have been made. At the same time, CNS will upload the new Terms onto the Site. You MUST read the new Terms before using the Site. Your continued usage of the Site after the posting of the new Terms deems that you accept the new Terms. We may, in its sole discretion and in addition to any other remedies available to the Site, with or without cause withdraw, suspend or discontinue at any time and from time to time any Materials, information, content or services available on the Site, your user name and password, and any functionality or features in or on the Site, including, but not limited to, the cessation of all activities associated with the Site, with or without notice. We shall have no liability to you or any third party for such withdrawal, suspension or discontinuance. The intellectual property rights of the products, technology, and/or processes described and/or used on this Site may belong to CNS and/or other third parties. All content included on this site, such as text, graphics, logos, button icons, images, and software, either belongs to CNS or any of CNS's content suppliers. The compilation of all content on the Site is the exclusive property of the Site and is protected by Singapore and international copyright laws. All software used on the Site belongs to CNS and/or its software suppliers and are protected by Singapore and international copyright laws. The copyright of the Site, its logo, and other marks indicated thereon belongs to CNS. All other trademarks not owned by CNS or its affiliates that appear on the Site belong to their respective owners. You may browse the Site for your personal, non-commercial use. All materials published on this website are protected by copyright, and owned by CNS or the party credited as the provider of the materials. You may not modify, publish, transit, participate in the transfer or sale of, create new works from, reproduce or in any way exploit any of the content in whole or in part; unless it is for personal use only, and provided that all copyright and notices are contained therein. If you want to use any of the published materials on the Site for commercial use, either by copying or storing from this website is prohibited. Written permission may be obtained by emailing to editor@incinemas.sg. Permission is granted solely by, and at the discretion by US or the original copyright holder of the content. CNS and the Site has a policy of respecting the intellectual property rights of others. We may investigate complaints of copyright infringement upon its sole discretion. If any person believes that their work has been copied in a way that constitutes copyright infringement, please provide the following information and send them to reachus@incinemas.sg. By using the Site, you agree to comply with all of the terms and conditions hereof. The right to use the Site is personal to Subscriber and is not transferable to any other person or entity. Subscriber is responsible for all use of Subscriber's Account (under any screen name or password) and for ensuring that all use of Subscriber's Account complies fully with the provisions of this Agreement. Subscriber shall be responsible for protecting the confidentiality of Subscriber's password(s), if any. In consideration of your use of the Terms, you represent that you either are of legal age to form a binding contract and are not a person barred from receiving the Services under the laws applicable to your location or other applicable jurisdiction, or have obtained the prior consent of your parent or legal guardian to use the Service subject to and in accordance with the Terms. Participation of contests and/or giveaways on the Site are available to registered members of the Site. When you enter any contests and/or giveaways conducted by the Site, you consent that all information (such as your Name, Identification Number, E-mail Address, Contact Number) are accurate, true and complete. Any incomplete fields or failure to comply with the Terms may result in a forfeit of the prize(s), unless otherwise stated. Prizes are non-transferable and not exchangeable for cash in part or full. Organisers' decision is final and no further correspondence will be entertained. Promotion, Contest, or Giveaway is subject to all applicable laws and will be void where prohibited. Promotion, Contest, or Giveaway is open to residents residing in Singapore only. For prize redemption purposes, those residing out of Singapore may not take part in any of the promotion, contest or giveaway, unless otherwise stated. CNS and/or the third party organiser reserve the right at any time in our absolute discretion to cancel or modify the contest or substitute, withdraw or cancel any prize without prior notice and without having to disclose any reason. By taking part in the promotion, contest, or giveaway, you agree to the Terms and Conditions stated. In the event that the redemption of prize(s) is not fulfilled, CNS and the organiser reserve the right to forfeit the prize with no prior notice, and no substitution of prize(s) will be allowed. CNS has adopted the following Acceptable Use Policy in order to assure that the Site's forum and/or blog are used in a lawful and appropriate manner. While the Site does not ordinarily monitor the content of the User's posts on the blog and/or forum, CNS reserves the right to investigate reports of misuse of its service and to protect its property and assets. The sending or posting which contains advertising or any solicitation with respect to products or services. Violations of this Acceptable Use Policy will not be tolerated and may result in you being blocked from accessing the Site and/or posting messages on the Site’s blog and forum. We reserve the right to terminate your use of the Site if we believe that you have violated or acted inconsistently with the letter or spirit of these Terms and Conditions, violated the rights of us or any third party, or for any other reason whatsoever with or without notice to you. Certain data transmissions between your computer and the Site are conducted through secure servers and protected by Secure Socket Layer (SSL) technology. Certain services further require you to register, use passwords and/or digital signatures. While CNS and the Site will use reasonable endeavours to provide reasonable precautions to protect any information or material that is confidential in nature, we do not guarantee that information transmitted through the internet is secure or that such transmissions will be free from delay, interruption, interception or error. Where you subscribe for any of the services on the Site that relates to any advertisement or other similar services, whether as a potential seller or buyer, you hereby expressly acknowledge and agree that the Site acts as a venue only and the Site is not involved nor responsible for the correctness, accurateness or truthfulness of any information that is posted by other users of the Site or the posting, provision, delivery of such information from CNS and the Site to you. CNS reserves the right to limit, in its sole discretion and without prior notice to you, the number of posts on the Site’s forum and/or the blog that you may post. You are solely responsible for your actions and communications undertaken or transmitted using this Site. Neither we nor our affiliates exercise editorial control over your postings. However, we reserve the right to review your uploads and postings to ensure full compliance with the Terms. We do allow the limited use of robots and crawlers, such as those from search engines. You may not frame or utilise framing techniques to enclose any trademark, logo, or other proprietary information (including images, text, page layout, or form) of CNS and our affiliates without our written consent. You may not use any meta tags or any other "hidden text" utilising the Site’s name or trademarks without the written consent of CNS. Any unauthorised usage of meta tags immediately terminates the License. You are granted a limited, revocable, and non-exclusive right to create a hyperlink to the site so long as the link does not portray the site, CNS, its affiliates, or their services in a false, misleading, derogatory, or otherwise offensive manner. You shall not use any of the Site’s logos or other proprietary graphic or trademark as part of the hyperlink without CNS’s written permission. CNS and its affiliates are not liable for any inaccurate information displayed on the Site that are gathered from third party sources. 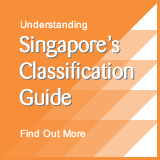 By visiting the Site, you agree that the laws of the Republic of Singapore, without regard to principles of conflicts of laws, will govern these Terms and any dispute of any sort that might arise between you and InCinemas.sg or its affiliates. In the event of any dispute, you and CNS agree to submit to the non-exclusive jurisdiction of the Courts of the Republic of Singapore. If any provision of these terms and conditions is held to be invalid or unenforceable, such provision shall be struck out and the remaining provisions shall be enforced. Any failure to act by CNS and the Site with respect to any breach by you or others of any of the provisions of these terms and conditions does not waive our rights to act with respect to subsequent or similar breaches. As of 13 November 2015, the Site will be functioning on a new platform, and therefore details of the collection of PERSONAL IDENTIFIABLE INFORMATION has been changed. Untapped Data such as your Residential Address, Place of Birth and Marital Status are no longer needed. The untapped Data from previosuly registered members will be deleted. You may update your particulars when you log on to the new Site. We guarantee to comply with the standards, procedures and requirements laid down in the Singapore government to ensure ensure that your personal information is kept secure and processed fairly and lawfully. This Site, however, contains links to other websites, advertisers and other third parties. By clicking on any of these links, you are leaving the Site. CNS has no control over the information collected from or about you by any third party after you have left the Site. CNS only collects your personal information ("Personally Identifiable Information") when you register as a member of the Site. Your Personally Identifiable Information can include name, NRIC number, e-mail address, contact number, some demographic information about you (eg. gender and age) as well any other information you voluntarily provide. Our goal in collecting information from and about you is to provide you with the best web experience possible, including providing proper formatting for our web pages and to provide you with information on topics of greatest interest to you. When you register with CNS/InCinemas and sign in to our services, you are not anonymous to us. Immediately notify the Site of any unauthorised use of your password or account or any other breach of security. An email to reachus@incinemas.sg is required for us to take necessary action. Ensure that you exit from your account at the end of each session. CNS cannot and will not be liable for any loss or damage arising from your failure to comply with this. When you visit this Site, we may collect the IP address of the computer you are accessing from. We may also record other information that identifies your computer to this Site and tracks your behaviour on the Site (eg: how many times you have visited the Site and your navigation within the Site). We do not collect Personally Identifiable Information in the manner mentioned in Clause 3.1 above. However, if you provide us with Personally Identifiable Information, we may associate the information provided with the information that has already been collected. A cookie is a small amount of data that is sent to your browser from a server and stored on your computer's hard drive. Most browsers allow users to block the receipt of cookies, but doing so may compromise your ability to use certain features of this Site. A clear GIF is a small graphic image, typically used in connection with cookies, that is placed on a web site or in an email message. A clear GIF can monitor certain user behaviour, such as usage of the web site, whether an email message has been opened or whether a URL in an email message has been clicked upon. CNS does not rent, sell, or share personal information about you with other people or non-affiliated companies. We may use your Personally Identifiable Information to better understand the needs of our users with the sole intention of improving the Site. For example, we may use this information to determine what portions of the Site are most popular and the general demographics of our users. When you participate in any contests or giveaways from the Site, we may use Your Personally Identifiable Information (Name, Identification number, E-mail address, contact number, birth day) to communicate and verify the prizes won by you on the Site. Cookies and other user information also enable us to customise the User's experience on the Site. We may use IP addresses to help diagnose problems with our servers or to administer the Site. We may also use IP addresses to help identify a user during a particular session and to gather data regarding use of the Site. We may use it to send you information, promotions and updates including marketing and advertising materials in relation to our goods and services and those of third party organizations selected by CNS or the Site. We will not disclose your Personally Identifiable Information to anyone outside of CNS or its affiliates, except as described in this clause. We may disclose Your Personally Identifiable Information (Name, Identification Number, Contact Number, E-mail address) to third parties solely for the contests and prize redemption purposes only. We sometimes engage third parties to perform services for us, which may be incidental and/or connected to this Site, that require us to disclose your Personally Identifiable Information to them. If we make any such disclosure, we will require such parties to keep the information disclosed to them confidential and to use it only to perform the agreed services. We may from time to time wish to disclose your Personally Identifiable Information to third parties that wish to market, or provide information about, their products and services to you. We will only do so after obtaining your written permission. In the event of an asset sale, merger, consolidation, restructuring, reorganisation, liquidation or other similar transaction involving CNS and/or this Site, we may transfer some or all of your information, including Personally Identifiable Information to the successor company. We will also disclose your Personally Identifiable Information in the event when we are required, or believed to respond to subpoenas, court orders, or legal process, or to establish or exercise our legal rights or defend against legal claims. CNS does not provide any personal information to the advertiser when you interact with or view a targeted ad. However, by interacting with or viewing an ad you are consenting to the possibility that the advertiser will make the assumption that you meet the targeting criteria used to display the ad. Who you may choose to share your User Content with: Any information or content that you voluntarily disclose to the Service, such as User Content (e.g. written posts, comments, or other submissions) becomes available to the public, subject to the sole discretion of CNS. In addition, CNS allows for the RSS syndication of all of its public content within the Service. If you remove information that you posted to the Service, copies may remain viewable in cached and archived pages of the Service, or if other Users have copied or saved that information. We use reasonable security safeguards to protect Personally Identifiable Information we collect on the Site from unauthorised access, use, modification or disclosure. Except for the necessary staff of CNS, no other party, including employees of CNS and the Site, can change your information. All information gathered by CNS and the Site are stored in systems that may only be accessed by authorised staff of CNS using assigned user ids and passwords. We cannot guarantee that communications between you and our servers will be absolutely free from unauthorised access by third parties. User must remember to log off from your account and close the browser window after use so that no unauthorised party can have access. You must not, at all time, divulge your password to any third party. You may view and update information that you previously submitted to this Site by visiting the registration page for this Site. However, a request to change information may not be accommodated if the request conflicts with legal requirements and/or result in incorrect information. Requests to view or change personal information may take a few days to process. You can also stop receiving promotional email communications from us by unchecking on the “subscribe to newsletter” provided in such communications; the notification tab on your member's page; or by sending an email message to reachus@incinemas.sg with the subject header as "No email". If you have any questions about reviewing or modifying your account information, you can contact us directly at reachus@incinemas.sg. Following termination or deactivation of your User account, CNS may retain your profile information and User Content for a commercially reasonable time for backup, archival, or audit purposes. The Site is a general audience web site and is intended to be used by adults and teenagers interested in the Site. It is not intended for children, and CNS does not want to collect any personal identifiable information for users who are under the age of 13. You can use Ad Settings to manage the Google ads you see and opt out of Ads Personalisation. Even if you opt out of Ads Personalisation, you may still see ads based on factors such as your general location derived from your IP address, your browser type, and your search terms. Alternatively, you can manage cookies in your web browser but this can affect your experience on the Site. From time to time, we have local promotions and giveaways. At this point, these promotions and giveaways will not be applicable to those who do not reside in Singapore due to the prize collection logistics/regulations. But we still welcome people from overseas to join our website for exciting movie and entertainment news! Copyright CNS Connections Pte Ltd. All Rights Reserved.